Anger refers to an emotional response that can vary widely in how long it lasts, how often it occurs, and how much impacts day-to-day functioning. Anger may be your first emotion in most situations or you may be very slow to lose your temper. People may experience anger when they feel attacked or they may use anger to get what they want. It is common for anger to be connected to depression, anxiety, and trauma. Anger can become so habitual and pervasive that it impacts your thoughts, behaviors, and other emotions. Uncontrolled anger may be a symptom of a mental health disorder and becomes significant when it impacts your ability to function at home, school, or work, or in your relationships. Do you feel constantly on edge or irritable? Are you easily angered and frustrated? Do you react with a vindictive and spiteful attitude? Do you hold a grudge for years or refuse to accept an apology? 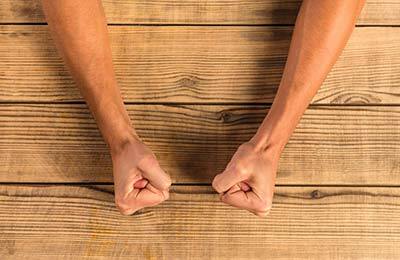 Do you lose control of your body or words when you are angry? When you are angry, do you do or say things that you later regret? Have you lost friendships or employment because of your anger? Do you bottle your emotions until you burst with anger? Have you threatened to harm yourself or others in your anger? If you are experiencing any symptoms of anger that are impacting your well-being and functioning, please connect with Lacamas Counseling for professional therapeutic support to address and alleviate your symptoms of anger. A reoccurring pattern of behavioral outbursts and aggressive impulses. A pattern of angry/irritable mood with argumentative behavior and a vindictive spirit. Major Depressive Disorder with negative affect or irritability. Bipolar I or II Disorder with an abnormally irritable mood. Panic disorders that are a physical body reaction to fear or anxiety, with negative affect or irritability. Experience of a post-trauma stress response that includes over-aroused irritability and anger. Acting out with anger or aggression to deal with a significant and stressful life change.